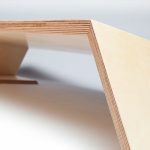 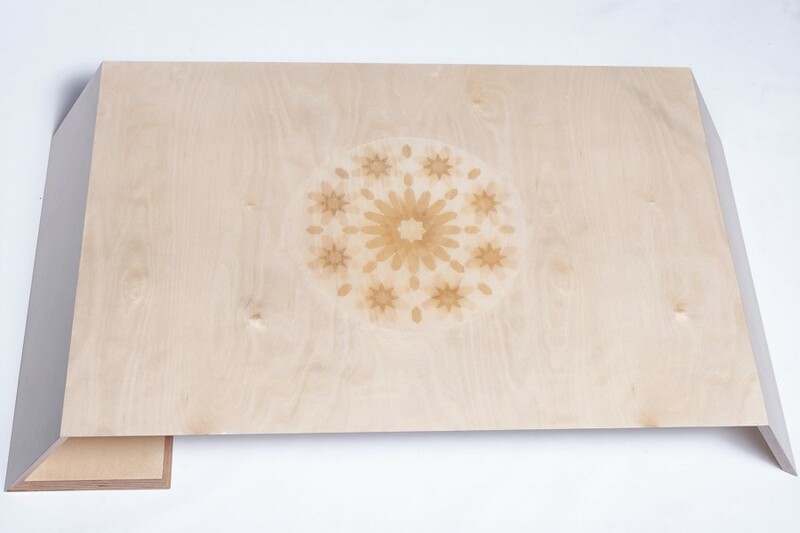 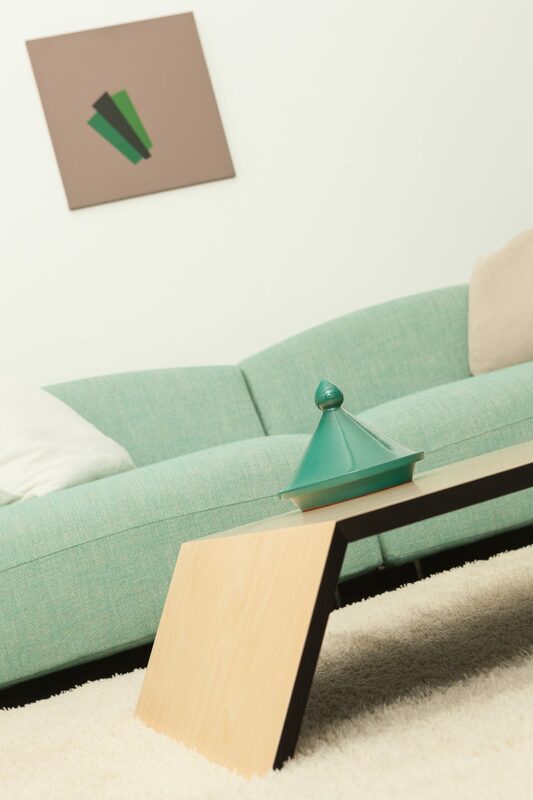 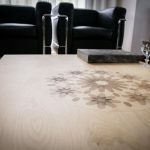 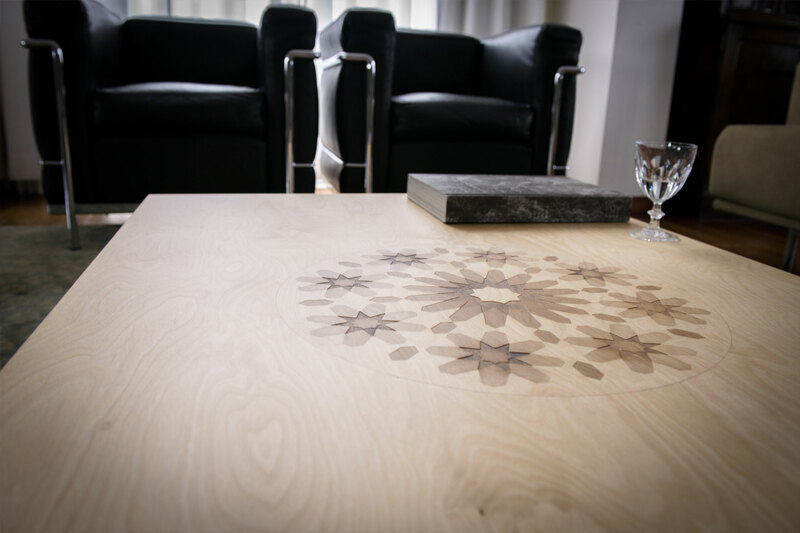 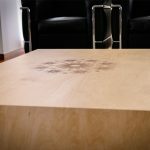 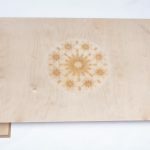 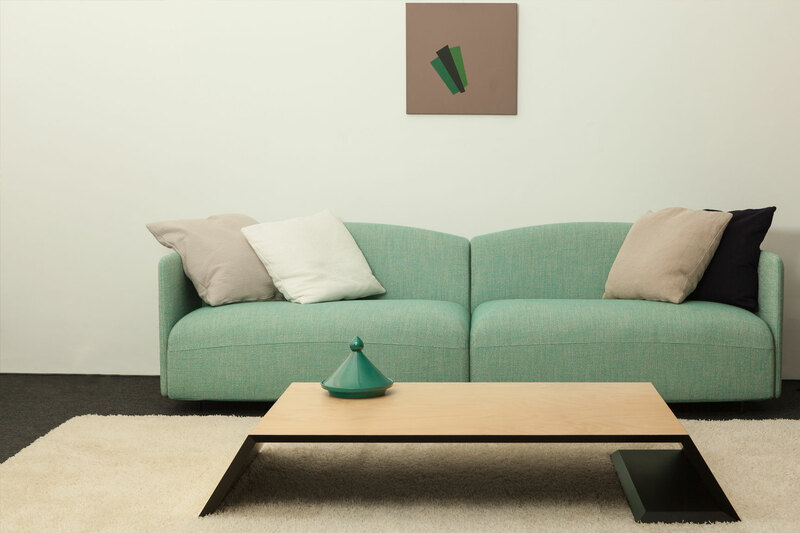 A design coffee table from birch plywood with a distinctive design. 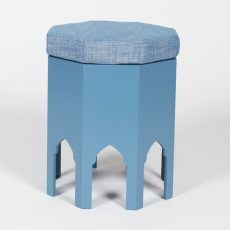 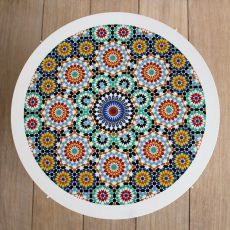 The shape refers to the Atlas mountains. 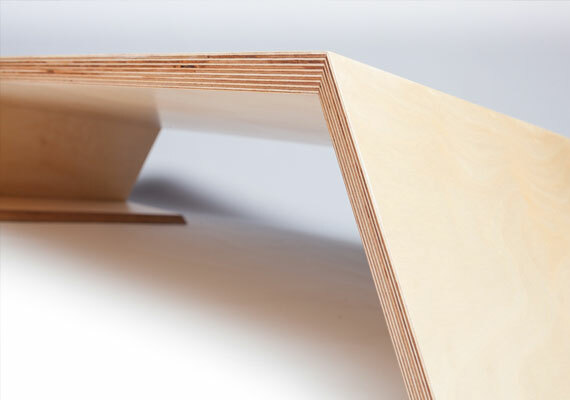 The sides of the table are beveled and give the table an extra dimension. 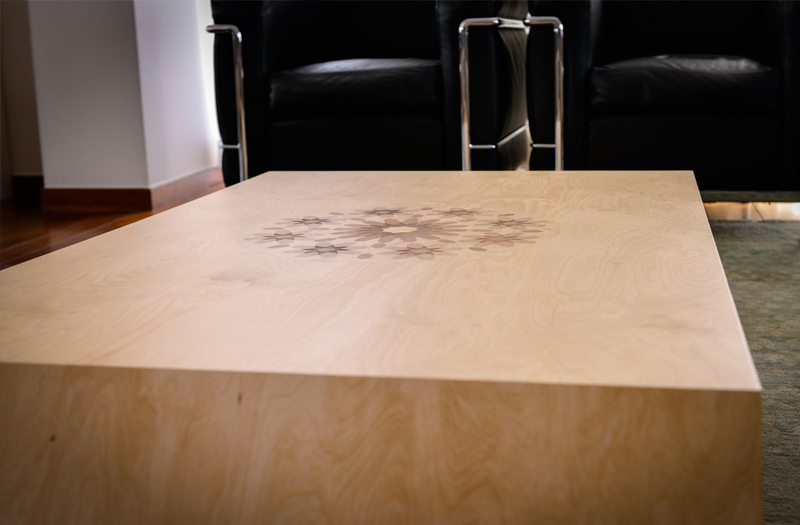 The inside can be painted black, the top and the exteriors are finished with several coats of varnish. 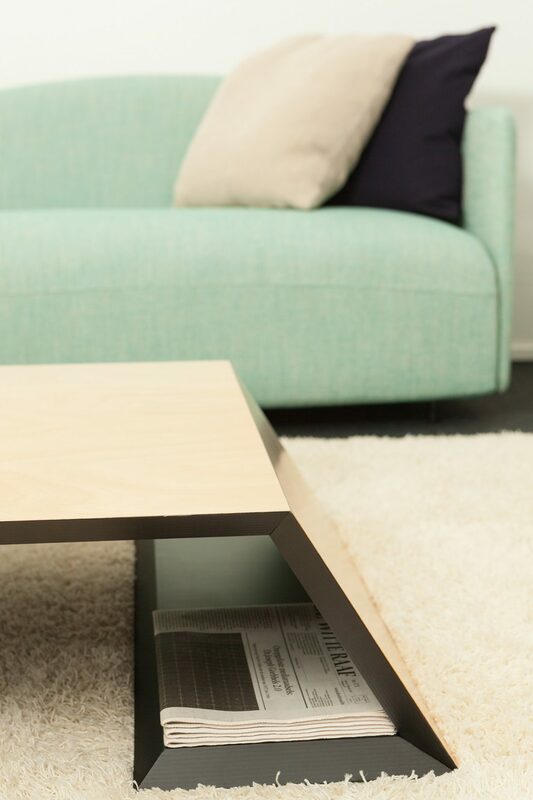 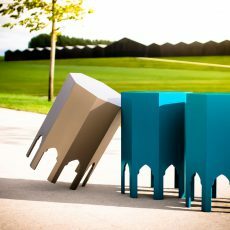 The horizontal bottom can be practically used to put on something decorative (eg, books, remote control…). 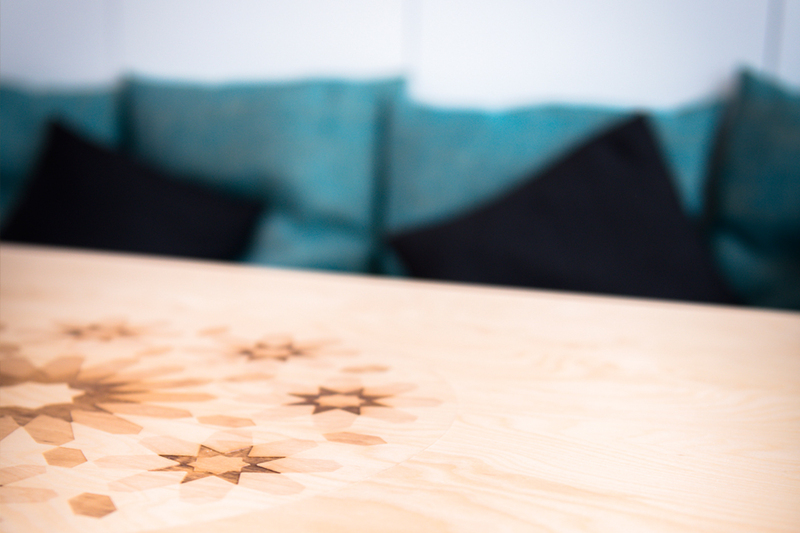 From 5 tables, the customer can choose his own logo or pattern. 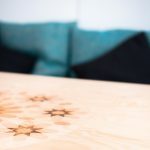 your logo as pattern on top is possible – mail gilles for details.